The Audition is one of the hardest working bands out there. Since signing to Victory Records in 2005 they have; released their debut album, Controversy Loves Company, released their second album in January 2008, Champion, released their third album in April 2009, Self-Titled Album, and then they released their latest album, Great Danger, in March 2010. 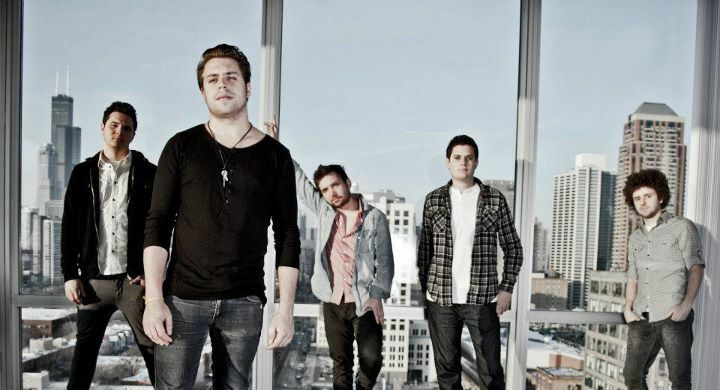 In July of 2010 The Audition announced they were no longer with Victory Records. This September the band announced a lineup change, and plans of recording and releasing a new EP, their first since leaving Victory. A few months ago they started a KickStarter to help with the costs of making the new album, they met and surpassed their goals. Here is the lead singer, Danny Stevens, talking about the band and what keeps the fire in their hearts going. First off, I've always wanted to ask, what's the story behind the band name? We got it from the Japanese horror film named "The Audition"
After all that The Audition has gone through with Victory Records, what happened for you guys not to be signed with them anymore? We fulfilled our contract of four albums with them and realized that it wasn't the best fit for us anymore so we decide to not re-sign. You guys made you goal, plus more, with the KickStarter. Did you think you were going to reach the goal? and how does it feel to know that you still have a lot of fan support? To be honest, I was quite nervous about the goal we had set for ourselves on the KickStarter. Taking an entire year off and not being in peoples faces like I'm used to kind of made me think that people had forgotten about us in a way, but I was so happily surprised when we surpassed our original goal! It's unbelievable that we still have so many fans out there that care so much and are willing to donate to keep us on the path that we want to be on! What inspires you guys to continue writing music and still pursuing a career in music? Its our passion and our love. I've been playing and writing music since I've been 11 years old; more than half of my life. It's what I love for. I love sharing my stories and music with anyone who is willing to listen and take something out of it. It's one of the most rewarding things in my life. In your eyes, what has been the most pivotal moment of the band? I think that every day has it's new challenges and new up's and down's, but I don't think we've quite yet reached our "pivotal moment". If you could go anywhere in the world, where's one place you would like to either play a show at again, or play it for the first time? I'd love to go to Japan. It's one of the only major market countries that we've yet been to. It looks amazing over there and from what I hear, the fans are outstanding. What would your dream tour line up be? The Avett Brothers, Led Zeppelin, Jack's Mannequin and us! Besides necessities, while traveling what do you like to take on the road to make it a little easier to get by? My lap top and a bunch of books. Lastly, what do you think is in stores for The Audition over the next year? Aside from releasing our new EP "Chapter II" We will be touring, touring and even more touring. ALL THE LIGHTS, OPENING UP FOR THE FIRST TIME EVER!